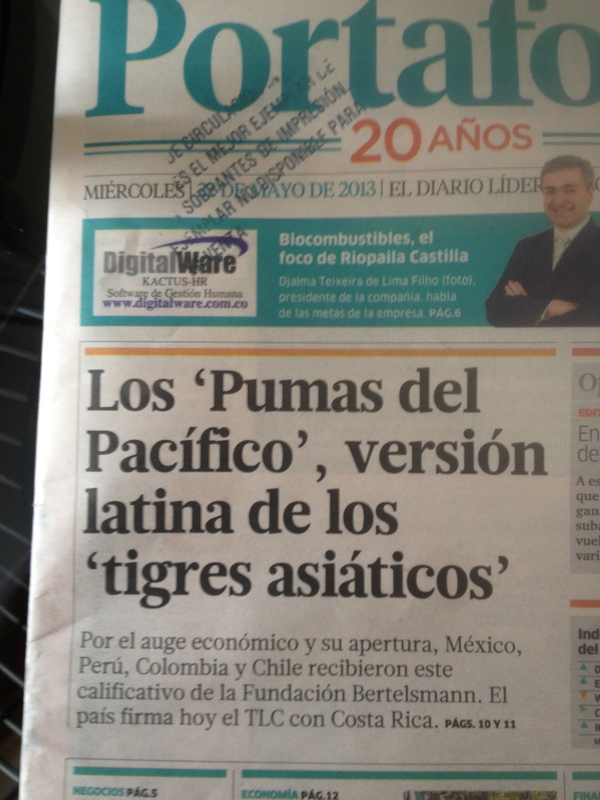 The Pacific Pumas: Mexico, Colombia, Peru, Chile. As a Project Manager with the Bertelsmann Foundation, I have parlayed this spontaneous bit of alliteration into a full-blown investigation into the recent advances and newfound opportunities of these countries. Of the Pumas, I have spent a significant time in Chile and Mexico, and I have wandered a bit in Peru. But prior to this month, I had never set foot in Colombia—the potential diamond (emerald?) in the rough. 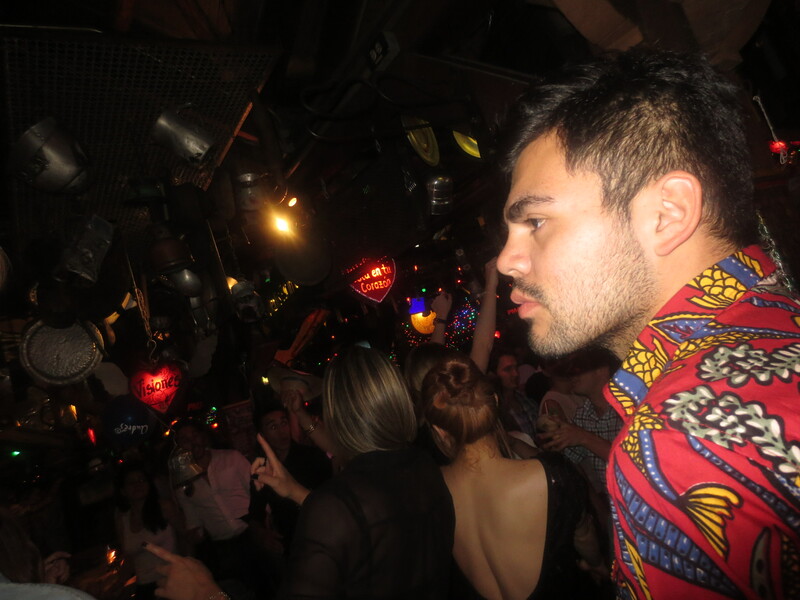 “Colombia is a country of contrasts,” says Diego between curse words and an ear-to- ear grin. We are outside Andrés Carne de Res, a famous upscale restaurant located in the middle-class Bogotá suburb of Chía. Street musicians play vallenato on improvised instruments, their darker skin contrasting with the paleness of those leaving the restaurant. Diego is drinking aguardiante out of the bottle. I have just pulled him away from a fight with an Andrés affiliated street vendor over a missing cheeseburger. …about how great Colombia is. “Si vas al centro, si vas al sur, huevón, hay mil lugares…la verga.” Yes, it takes two hours to get to work. Yes, it takes two hours to get home. Yes, vaina, chimba, huevón, and mierda. I know what is coming next. “Do you know that it is cheaper to ship a container from Cartagena to China than to ship it from Bogotá to Cartagena?” Yes. I did know that. Everyone knows that. But why? And what can be done? There are no overhead lights. Just a dim lamp on the wall, revealing soft white paint and a few religious decorations. It is dark outside. It is dark inside. I am sitting at a dining room table in Chía, looking up at Marco, who is standing in front of the lamp. The light on his back makes his body glow, but obfuscates the details of his face. Long-time residents of Chía have a bone to pick. Ten years ago Chía was a sleepy suburb. Now it is 200,000 people—a product of Colombia’s rapid (perhaps unexpected) growth. It still has only one major road. Peak-hour traffic is punishing. A senior editor from Portafolio, Colombia’s Financial Times, wants to tell me a story. Having passed the bomb-sniffing dogs, the metal detector and the security post, I am inside the building of El Tiempo and Portafolio, the publications of record in Colombia. Colombia is well positioned to become the jumping point for Latin American trade with Asia, just as Mexico is a jumping point for regional trade with the US. Optimists imagine a version of northern Mexico’s maquiladora corridor along Colombia’s Pacific west. But the twin problem of non-existent peripheral infrastructure and regional corruption suggests that realizing this dream will require far more than a handful of free-trade agreements. I have seen the bridge. 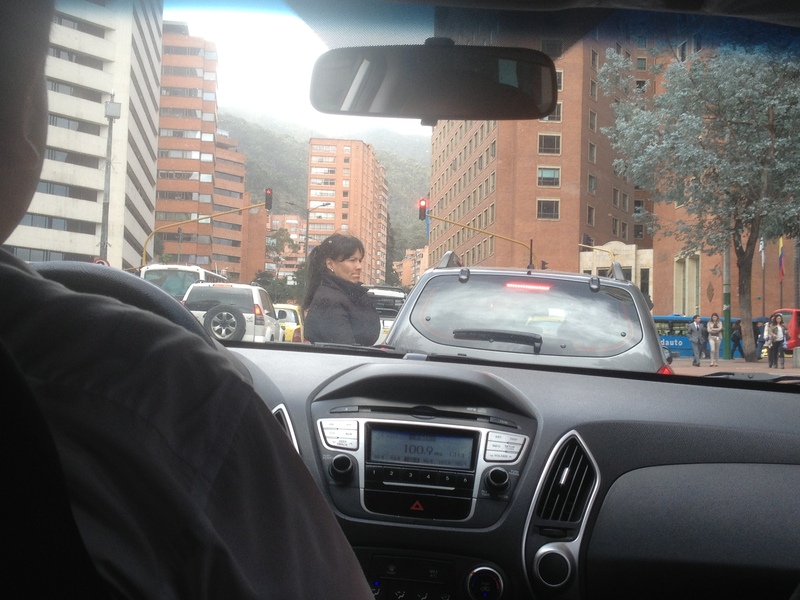 In Chía, traffic on the major artery is preposterously congested. For pedestrians, crossing that main street—which one might well have to do a couple times a day—is no small feat. 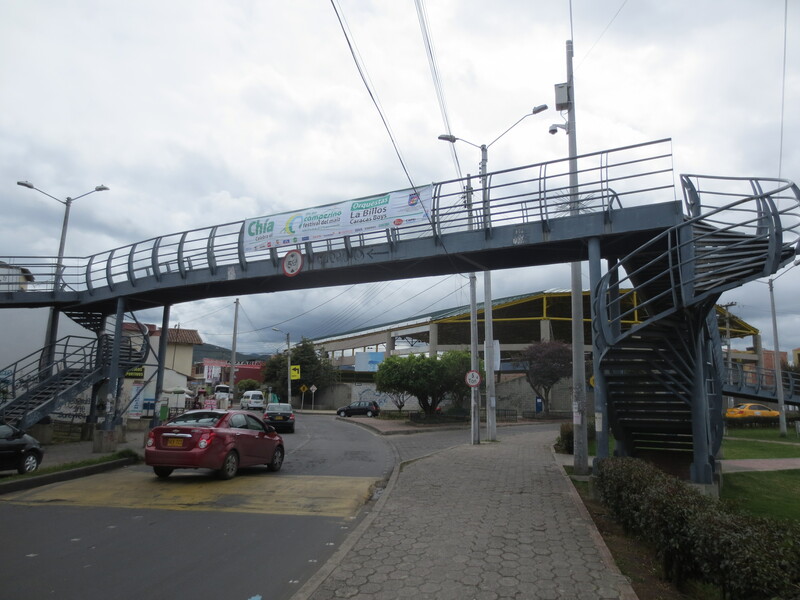 Thus, locals remain rather suspicious of an elaborate pedestrian bridge that was recently built…a couple blocks off the main road, over a lazy street with minimal traffic. To locals, this is a physical manifestation of corruption. 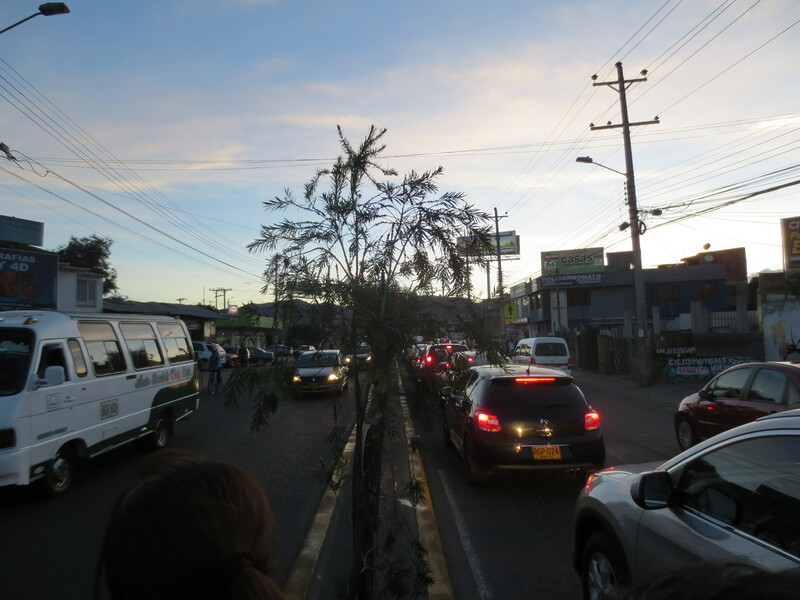 The congestion on Chía’s main road, on the one hand, represents the struggles Colombia faces integrating rapid growth into antiquated infrastructure. On the other hand, the oddly located bridge that does exist underscores the difficulties of successfully allocating the infrastructure investment that is available. 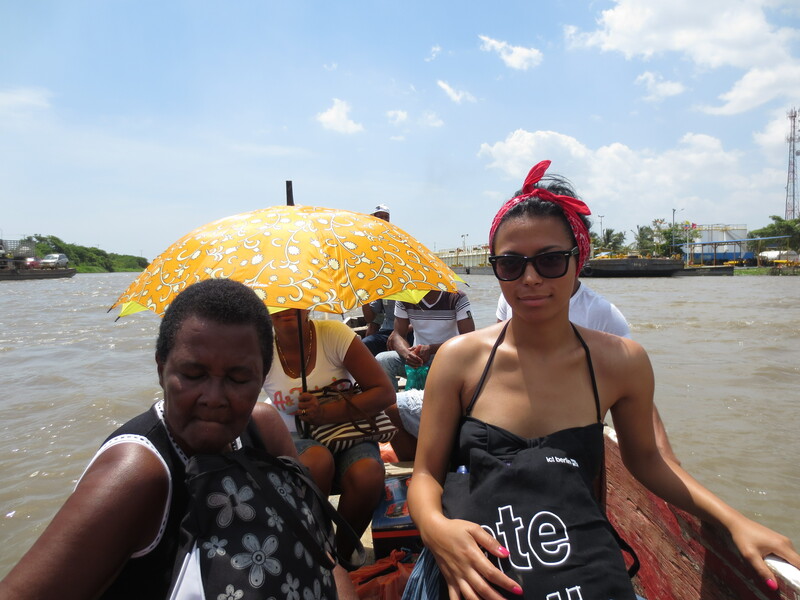 We are trying to cross a small river just south of Cartagena. There is only one way across: old wooden boats. Locals pack in while men with ores steer from the front and back. It seems our particular vessel is on a crash course with a small tugboat. Passengers start to yell at the rowers. “Your going to kill us all,” cries the woman sitting next to me. “Have you ever done this before?” questions another. “Do you know what you are doing?” It is thick, Caribbean Spanish—I’d ballpark roughly a third of every written syllable is actually pronounced. The rowers execute an awkward maneuver, narrowly avoiding the tugboat by a matter of inches. 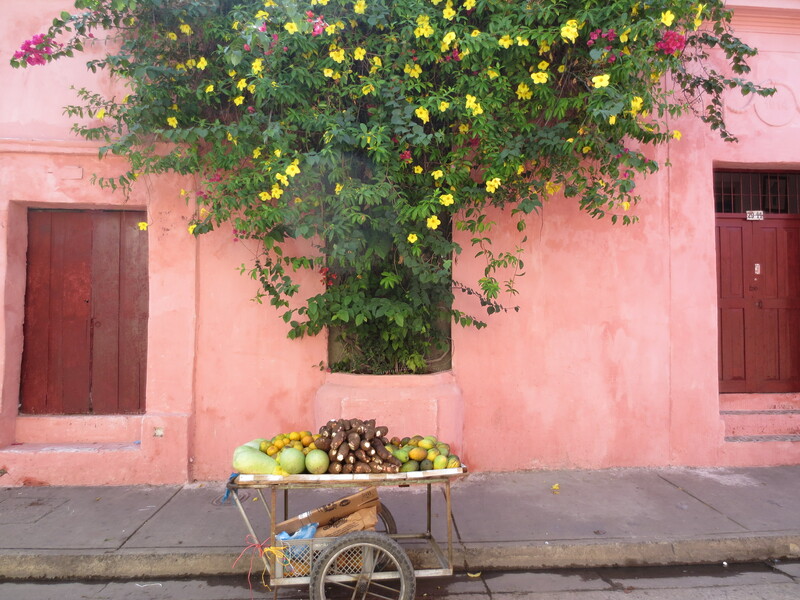 A couple miles outside of Cartagena, along the coast of Colombia’s most developed port, this is what passes for transportation. Imagine what the far less-developed Pacific coast must be like. Unlike its neighbors, Colombia does not have a history of macroeconomic implosions. It did not default in the 1980s. It skated through the tequila crisis of the mid-90s. It suffered but a one-year downturn following the East Asian crisis, and it has grown right through the great global recession. The problem has always been the violence, and the deterring effect this has on private investment, especially on long term infrastructure projects. That violence has started to dissipate, and investment has started to flow in. But the violence is not over. Peace dialogues in Havana have moved forward incrementally, but even so, there is no guarantee that Colombians will accept the peace. “How do you make peace with people who kill women for talking to the wrong person?” I ask the driver. “I bet you saw some cool animals when you lived in the Amazon,” I say eventually. Why was he checking is cell-phone so frequently? Why was he so monosyllabic? So gruff looking? Why wouldn’t he look me in the eyes? My mind was racing. We are horseback riding deep in Boyacá, and something seems off about our guide. He has a one-sentence cell phone conversation. “We’ll be there in a minute…wait for me at the spot,” and he quickly hangs up and buries the phone in his pocket. Soon a van with no windows kicks up dust down the empty road, and slows down as it reaches us. Is this ‘the spot’? It is not. The van passes by (with a honk and a wave). “The spot” is a turquoise blue bathing hole nestled in the Andes. Other teenagers—our guide’s friends—are waiting for him with some beer. It must be their lucky day. 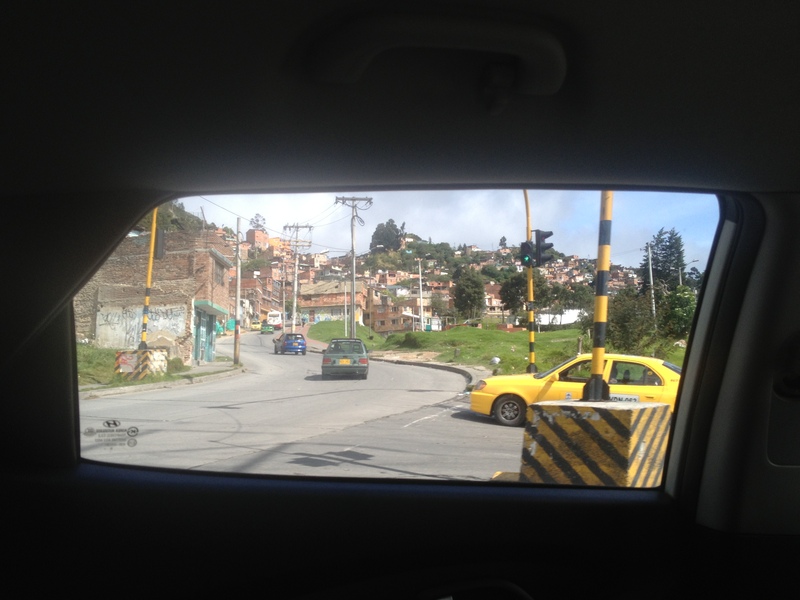 Just as we arrive, so did a group of teenage girls from Bogotá. My companion and I take a walk, leaving the boys, girls, and beers to their own devices. Whoever decided to make the 1000 peso note look just like the 10000 peso note has a cynical sense of humor. Why is it always sushi? Whenever its time to say goodbye, it always seems to be over raw fish. I am searching for a spot on the wall to hide my eyes so no one can see them, balled up and red. We were in Washington together. Now Natalia is staying—her visa has expired. I am going home. Some months ago a banker told me he would invest in Mexico, but he wouldn’t live in Mexico. How do I feel about Colombia? To be sure there is lots of money to be made here. But what of people like my partner? Will she see any material benefits from this growth? Or will it all go to elites dropping US$25 a pop on mojitos at Andrés Carne de Res? During my trip I visited folks in the Ministries of Finance and Commerce, and clearly there are brilliant minds wrestling these problems. From high up in the federal buildings, expansive views of Bogotá’s slums underscore the urgency of their work. Fixing this will not be easy. But at the moment, one thing is clear: Colombia has an opportunity. For people like Natalia, that is all she has been asking for all along. 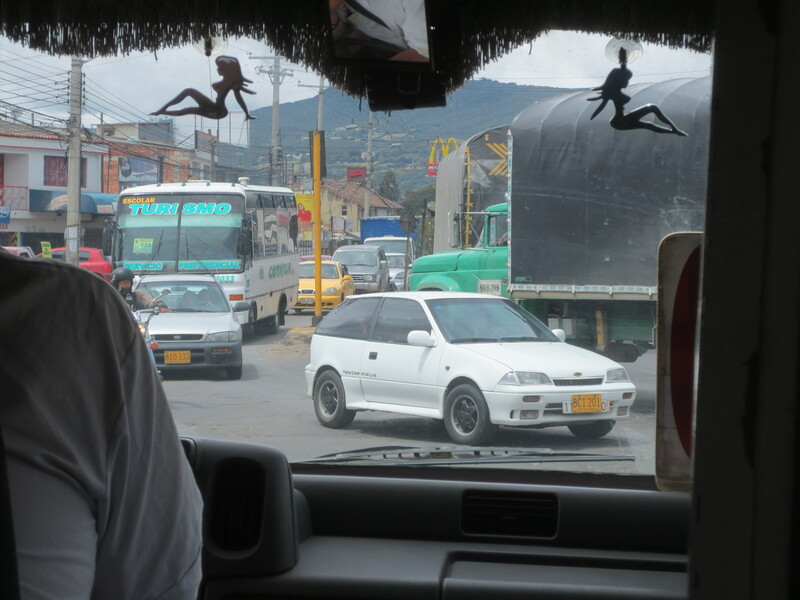 Editor’s Note: Meetings held in Colombia pertained to work, and not with the blog. For this reason, names and specific positions have been omitted. This entry was posted in Andean Region, Caribbean, Uncategorized and tagged Colombia, Colombia Infrastructure, Colombia Pacific Coast, Colombia Pacific Pumas, Life in Colombia, Pacific Alliance, Peace in Colombia. Bookmark the permalink.